Is it possible that women really dressed this way for work? 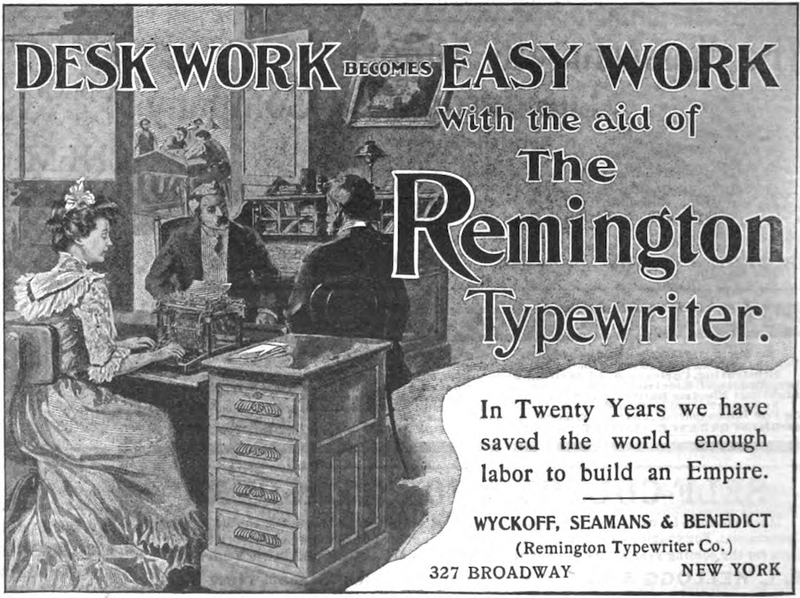 The advertisement above, from The School Journal, Nov. 1, 1902, tells an interesting story… or stories. Does the image portray royalty? Are they laboring “to build an empire”? Is the young lady a princess? A queen? Or does the image (to use the parlance of the day) portray a “pretty typewriter”? Is this a case of objectification? Perhaps a husband and wife are off to a dinner and some urgent business occupies them, the wife heroically taking to the typewriter to complete some vital communication. Or perhaps she only wears that dress when she doesn’t care how she looks.